An Atlanta native, Selam moved to Denver after teaching high school English as a Metro Atlanta Teach for America Corps Member. During her time in the classroom, Selam designed her school’s African American Studies and SAT Prep courses and spearheaded a community forum tasked to explore ways to align social issues with state standards. 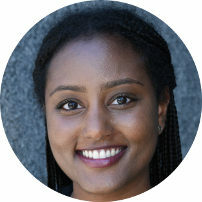 Most recently, Selam worked on the Academic Product and Operations team at the Denver-based Guild Education. In this role, Selam focused on innovative instructional design and course enrollment processes. She believes all students deserve to be empowered to be their own conscious advocates for themselves and their communities.